'Ashtavinayak' means 8 Ganeshas, 'yatra' means pilgrimage. The tour of 8 Ganesha temples is one most sacred pilgrimages and called as Ashtavinayak Yatra in Maharashtra.. 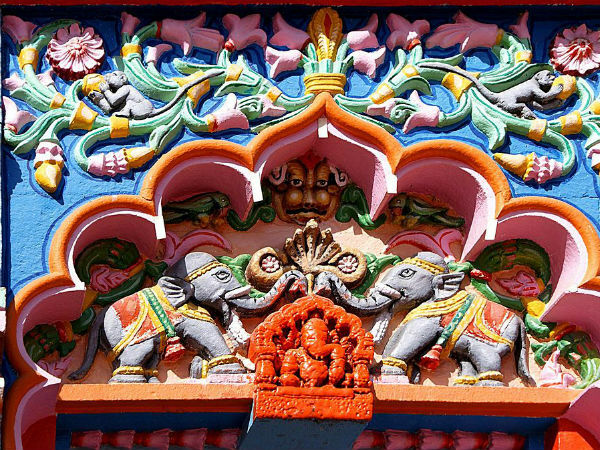 These Ganapati temples are located around Pune and each have unique stories. Devotees have to visit the shrines in a particular sequence to finish the holy tour. Starting from Moreshwar Temple in Morgaon, the pilgrimage ends with Mahaganapati temple at Ranjangaon. According to the religious scripts, tourists have to visit Moreshwar Temple after Ranjangaon to finish the circuit. Let us go on this holy yatra! Moreshwar Temple or Mayureshwar Temple is the first temple to be visited in Ashatavinayak Yatra. The temple is located in Morgaon around 80km from Pune. The Moreshwar temple is an ancient temple which flourished during the rule of Peshwas. Siddhivinayak Temple is one of the important Ganesha temples in Maharashtra. It is situated in Siddhatek in Ahmednagar district. Siddhivinayak temple is on the northern banks of Bhima river and is second in the series of Ashtavinayak Yatra. Ballaleshwar Temple has an interesting story. Here the god took the name of a boy called Ballal. Ballal is said to be a great devotee of Ganesha who recognised a random stone as Ganesha idol. Lord Ganesha who comes in the form of a sadu promises Ballal that he will stay in the village of Pali near Karjat as Ballaleshwar. A swayambu idol called Dundi Vinayak is there along with Balleshwar in the main the shrine. Varadavinayak Temple is situated in Khalapur. Varadavinayak idol is said to be a self originated one and the temple was built by the Peahwa General Ramji Mahadev Biwalkar in 1725. There are also many interesting legends relating to this Ganesha temple. The Chintamani Temple is one among the 8 Ganapati temples. The Chintamani Temple is located in Theur at a distance of 28km from Pune. It is said to be the largest temple in Ashtavinayak Yatra of Maharashtra. The temple is related with the Ganapatya saint Morya Gosavi. Girijatmaj Ganesha is a cave temple in Lenyadri. The temple is located in Cave No. 7 and is said to be built during 1st century AD. Lenyadri is a series of Buddhist rock-cut caves in Junnar. It is interesting that a Hindu shrine is situated among Buddhist caves. Vighneshwar Temple in Ozar is also called as Vignahar Ganapati Temple. 'Vignahar' means the one who removes the obstacles. The legend has it that Ganesha kills the demon Vignasura in this place. Mahaganapati Temple is Ranjangaon is the last temple in the Ashtavinayak Yatra. The temple is said to be built during 9th - 10th C. The idol of this Ganesha is called as Mahotkat because he has 10 trunks and 20 hands. However, the devotees have to again go back to Moreshwar temple from Ranjangaon to complete the pilgrimage.